Posted March 19, 2018 by Jason Anderson & filed under Blog. 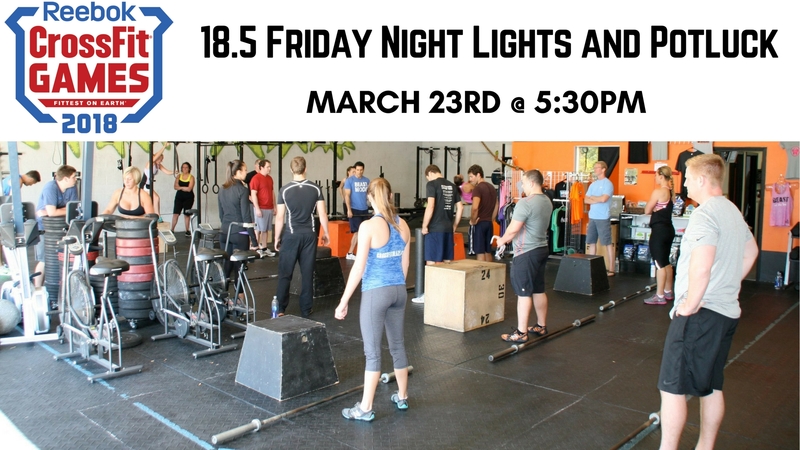 Compete in the CrossFit Open and help us celebrate 9-years in business! This is an open house event so bring your family, bring your friends, bring a chair, a cooler (stocked with your favorite snacks and beverages), and your “A Game” and let’s do this Blaze style! Friday night lights features, entertainment, potluck style tailgating fun atmosphere, raffle prizes and more! If you are bringing a food for Potluck that will enable you an extra 2 tickets for the raffle of prizes. Showing up will get your first raffle ticket and there will be fun ways to earn some raffle tickets before we draw our winners! More information to come, mark the date now and tell your family and friends. Thank you! Click link below to sign up for the event.